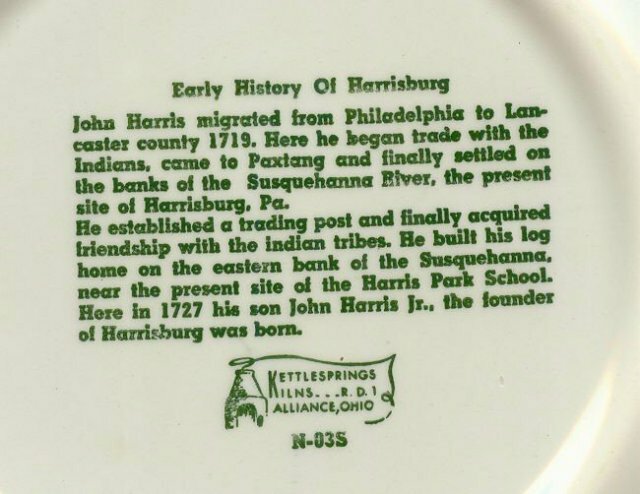 Harrisburg, Pennsylvania commemorative plate celebrating the 100th anniversary of the founding of the city. Made by Kettlesprings Kilns of Alliance, Ohio. 10"d. No chips or cracks. Has detailed descriptions of the scenes on the front, as well as a narrative on the back of the plate. Inglenook Antiques...Established 1989. 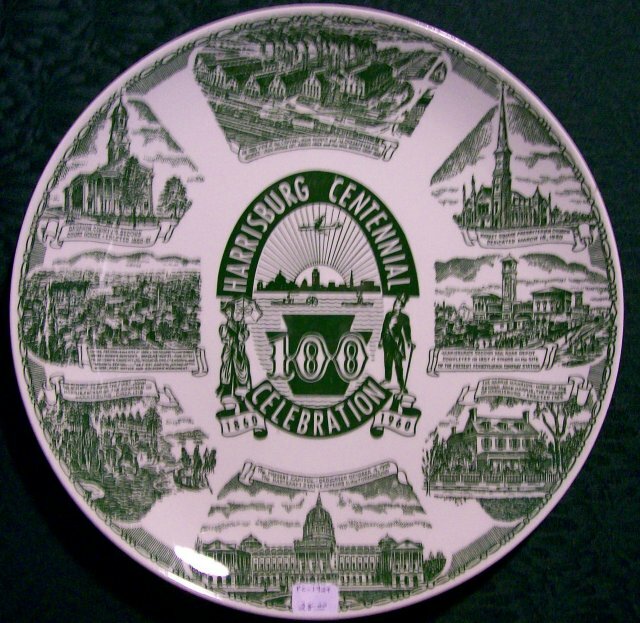 Items Similar To "Harrisburg Pennsylvania Centennial Ceramic Plate 1960 Green 10"D"